Please call owner Darrell at 732-534-2146. Boat Location: East Brunswick, New Jersey. 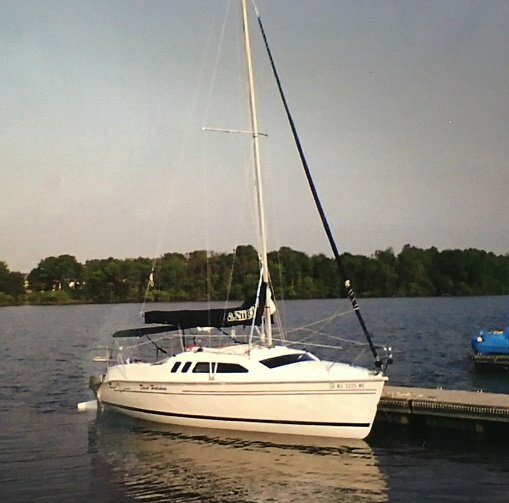 Hunter 240 sailboat with trailer great condition. Has a Honda 9.9 electric start outboard w/cockpit controls 6 gal fuel tank. Harkin roller fairing, 2 sails main w/lazy jacks and Jib. Electric fresh water sink w/6 gal tank. New VHF radio, AM/FM stereo, Auto pilot, ez-steer, cockpit cushions, Bimini sun shield, gas stove, fish finder, depth finder. As well as other items to much to list. Single axle trailer with new Kodiak stainless disc brakes. Clean unpainted bottom used mainly in fresh water.